Before publishing any news on rumors or leaks, we always state that the information received might not be 100% correct. However, for the case of the upcoming LG Nexus 5, we will no longer say that such device is still uncertain. A lot of leaked pictures on the upcoming Nexus 5 has flooded the cyberspace with Google themselves teasing their product in the Android Kitkat video. 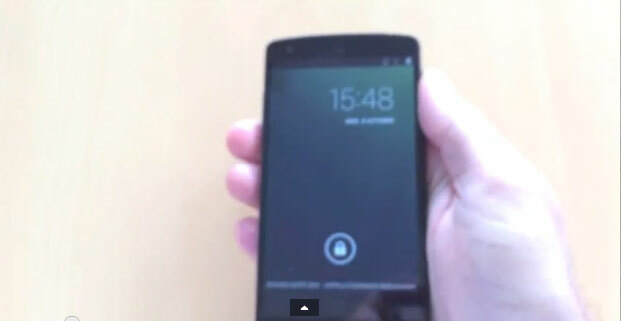 Now here we have, not a leaked picture, a hands-on video on the LG Nexus 5. The device that has been featured in the video might be a prototype device but it sure does give us an insight on how the device would look and perform. The reason we speculate it being a prototype version is due to the unavailabilty of the ‘Nexus’ text on the rear side. When the person goes to the settings menu. we can see that the version of the Android OS is not KitKat but KeyLimePie which indicates that this was recorded a long time back. Maybe Google was still deciding on what name it should be given. Have fun watching the video. Only days away till the official announcement takes place!